When Pillsbury released their first box of Funfetti cake mix 25 years ago, they did not expect the fandom that would follow. 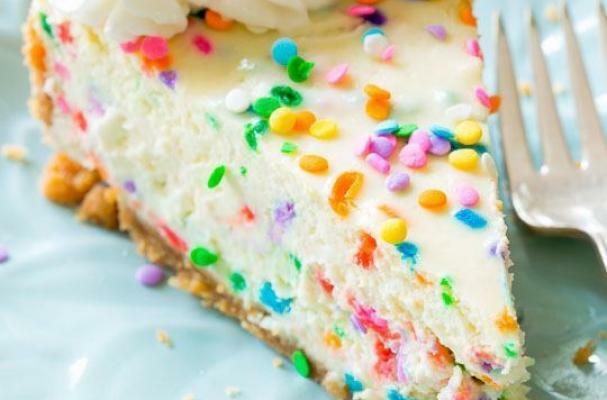 This favorite culinary treat combines rainbow sprinkles with white cake batter. In addition to cakes, you can now find just about anything in funfetti flavor including cookies, ice cream, pudding, cheesecake and more. Pillsbury has taught America (and perhaps the rest of the world) that you will never be too old for sprinkles. Cake batter flavored anything is delicious and these cake batter blondies are no different. These bars are buttery, chewy, gooey. The rainbow sprinkles add a festive and fun touch to this hand held treat. There is ice cream and then there is ICE CREAM, fully loaded with all kinds of tasty mix-ins. Homemade cake batter ice cream is studded with rainbow sprinkles and crushed golden Oreos. The best part about this recipe (except for the ice cream itself) is that it doesn't require an ice cream maker. This totally delicious ice cream will soon become a favorite. 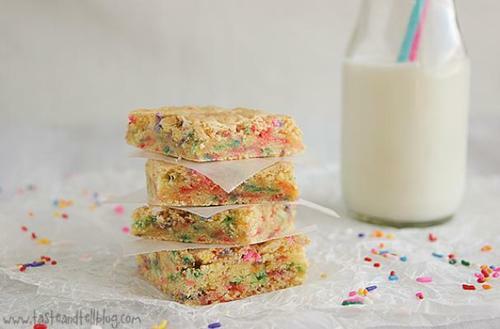 The funfetti cookie recipe uses the boxed cake mix to make cookies instead of cake. By making a few adjustments to the ingredient quantities, this quick and easy dessert can be done in less than 30 minutes. These colorful funfetti cookies are guaranteed to be loved (and eaten) by all who see them. These funfetti cake pops are a festive bite-sized dessert. Crumbled funfetti cake is combined with vanilla frosting to make the cake balls. Each ball is then dipped in white chocolate and rolled in sprinkles- how fun is that! Because this recipe uses boxed cake mix, you can make this dessert at a moment's notice (so long as you have the lollipop sticks). Funfetti cake pops are great for parties of any kind and especially bake sales. Classic vanilla cheesecake with a graham cracker crust is made a little more special with the addition of rainbow sprinkles. Whether you are 5 for 50, you will find joy in this fun and colorful dessert. For chocolate lovers, feel free to substitute the graham cracker crust for an Oreo cookie crust.